These beautiful Guatemalan single origin coffee beans have been grown by Jorge Alberto Zamora, the passionate owner of three small farms in Antigua. 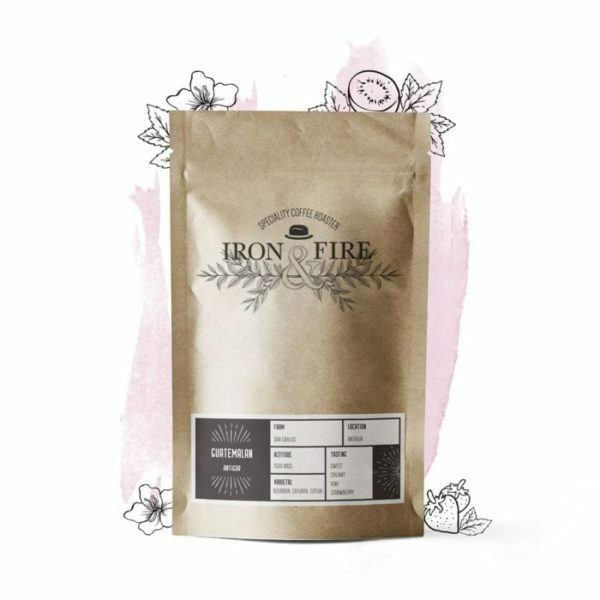 This is a complex and fruity coffee that has been carefully roasted to bring out the delicious flavours of strawberry and kiwi- the perfect blend of sweet and citrus. This Guatemala Antigua San Carlos blend combines coffee originating from three separate farms in the Central Park region of South West Antigua. These farms are cared for by Jorge Alberto Zamora who was born on the Villa Estela farm and has been working there for over 50 years. The main varietal grown on each farm is Bourbon, with the rest being divided among 40 year old Catuai and Caturra. With the region having a subtropical highland climate with plenty of rainfall and shade from the forest, this ensures that an exceptional coffee is produced to the highest quality. We have chosen this beautiful blend specifically for its sweet and creamy notes as well as hints of kiwi and strawberry. A stunning blend that is perfect served black and makes a great pourover.